Comment: Move basic living room and bedroom furniture. Two bedrooms, queen size beds. Third bedroom only has clothes bureau and exercise machine. Comment: The house is empty right now. we are moving in on April 20th. It has stains especially along the baseboards. Need to have done ASAP. So it dries well. Comment: I have a couch that has developed a musty odor during the process of a move. I have been unable to resolve this with applications of a vinegar solution and an enzyme cleaner. I am interested in professional upholstery cleaning. Comment: need carpet in a room deep cleaned, previous roomate had a cat so need to sanitize and remove cat urine from carpet. Comment: I have a large area rug (15 x 15) made out of a bound piece of carpet. It sits on top of a foam pad, which is over hardwood flooring. I would like to have this carpet area cleaned. Thanks. 4355 S.W. 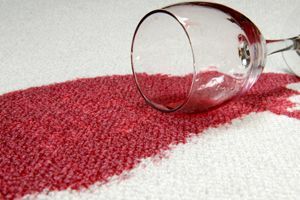 Rose Biggi Ave.
Hillsboro Carpet Cleaning Services are rated 4.89 out of 5 based on 482 reviews of 16 pros. Not Looking for Carpet & Upholstery Cleaning Contractors in Hillsboro, OR?